A picture is worth a 1000 words? Try 1,000,000,000! Facebook, yet again has proven to be the pioneer of social networks with its latest acquisition of Instagram; the free mobile app that allows its users to take a photo, and add a digital filter to it then share it on various social networks including its own. The hipsters of photography, or so called “pro photographers” are quite upset with this latest piece of news, yet the ones jumping for joy are Instagram’s co founder and CEO Kevin Systrom, who owns 40% of the company, making him eligible to take home $400 million from the sale pre-tax, as well as Instagram’s other cofounder, Mike Krieger, who will net around $100 million from the sale with his roughly 10% take. The remainder (10%, or $100 million) will be divided among Instagram’s nine employees. While we are not 100% sure if Instagram’s team really does constitute of only 9 employee, their latest update was in March when they hired their ninth member (Link). Mark Zuckerberg, Facebook’s founder, has published a very witty statement 15 hours ago (Link), which in brief wanted to assure all Instagram users that this acquisition will not alter their beloved experiecne nor hinder them from sharing with other social networks, or not share if they please. He emphasized that this acquisition does not entail Facebook integration by any means, it merely aims at elevating the photo sharing experience; the reason why Facebook has been at the forefront for the past few years. The photo-sharing app was exclusive to the iOS users (with a user base of over 30 million!) up until last week, when the app finally became available to Android users likewise. It became one of the best Android apps released for it prompted over 1 million new user signups in the first 12 hours of release. 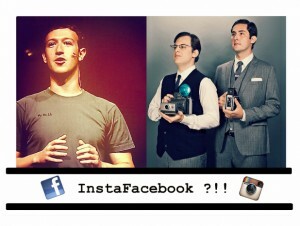 Which sparks an interesting question; do you think it would’ve taken Instagram so long to launch an Android app had it benefited from thousands of eager Facebook engineers? We think not! If you are an avid Instagram user, you would know that its evolution has been incredibly stagnant, we are quite confident this will drastically change. With Mark on board, we expect this ingenious app to be taken to brand new heights. So don’t be too quick to head for the exit with this news bombshell today, and remember how the acquisition of Youtube by Google went smoothly years ago. Smile and be prepared for a filter! 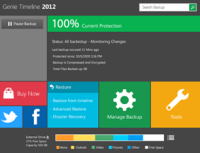 Next Tip of the day: Schedule your backup! Previous Video Games; Friend or Foe?